Blog | Ka Ba Sum ® Egyptian Healing | Bring back your power! The unaccepted, the discarded feelings, experiences, wants and emotions cast their shadow before you. You only see it when it has light shone at you, just like in the morning sunshine, where the shadow is cast. We often put it to one side, like our physical shadow, allowing us to ignore or look away from it. The darkness is still there, just like the light. Pushing away our emotions and desires only make the shadow a more formidable monster to face. It’s the voice that was once of reason, but by being ignored has become resentful, like when you were shut down when speaking as a child or adult i.e. are you still hurting from this? The shadow will always be there, always there to balance things. If you are able to work with that voice, to work with that part of you that knows life is unfair, that some people are not good people, that we are not infallible ourselves. If you are able to look at your pain, to look beneath the surface of actions… you can accept that voice and work with it. It is not a battle, the shadow is not always right, but it is not always wrong. As we embrace the movements of the sun into Sagittarius, it is a good time to bring light to it, especially if the Scorpio energy (Sun and Venus) have brought harshness to the shadow voice. The darkness lets you see the light, the light gives the darkness a new perspective. There’s a new moon in Libra on the 19th. 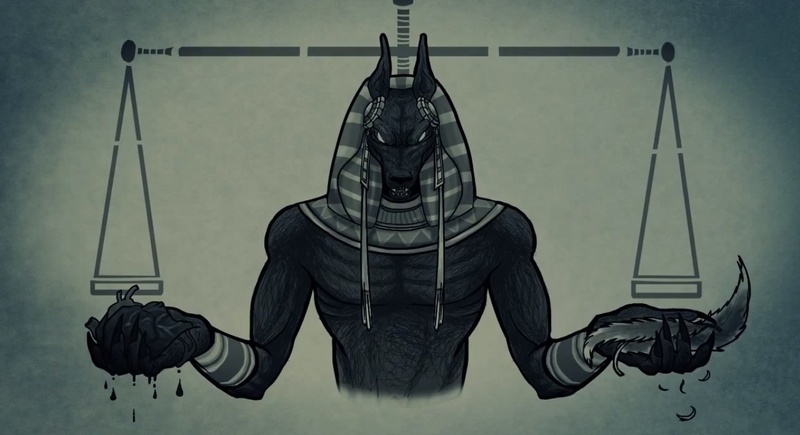 This is a time for connecting in with Anubis and Osiris. They are both tasked with weighing the heart in the afterlife- and also this life. Is it heavy with burden, guilt or fear? Is it light? Have you no cares? Take time out of your day on Thursday to call in your guides to help ‘weigh’ where you are and what you need to balance. Libra is a sign for balance and justice. If you are too interested in the material- you can call in the spiritual – and vice versa.